I’m an avid reader and one thing we don’t have in the van is room for me to be able store enough books to read during our trips. 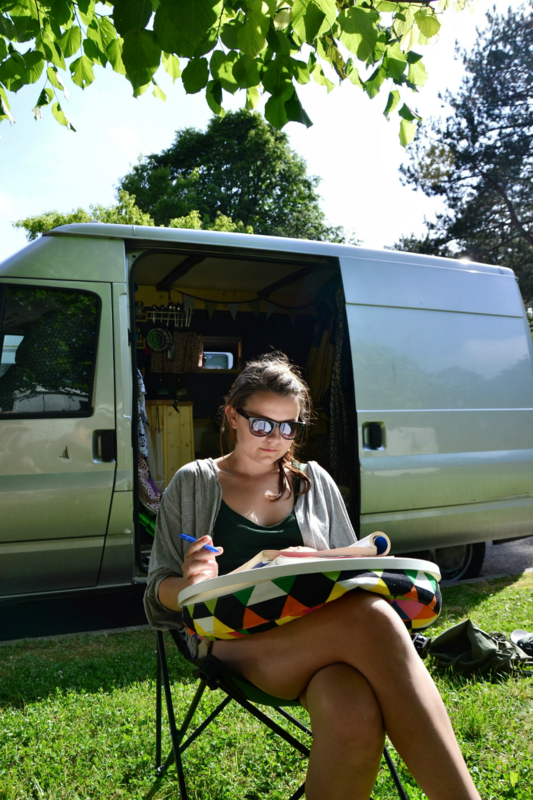 My kindle is perfect for van life as I can just cram it full of books and work through them across the months. Not to mention I don’t have to hike up hills with my massive fantasy books weighing down my backpack I can just sling my kindle in and crack it out on the top of the hills when we settle in for the afternoon. There’s nothing I enjoy more than putting up my hammock, getting out my kindle and pouring myself an Aperol Spritz. One of the main reasons we all decide to live in a van is to be able to be out in nature more often and the hammock makes this as comfortable as possible. It’s light enough to carry it in my hiking backpack and I find myself looking for places to put it on every trail we hike. We use a blanket for everything, to eat on, sleep on, as a pillow, on the beach or even to wear and so the blanket we chose was perfect for us. The Kachula Adventure Blanket is water resistant and easy to clean, it folds up into itself to become a pillow and comes with a detachable hood so that I can wear it as a poncho with an attached hood in the evening. 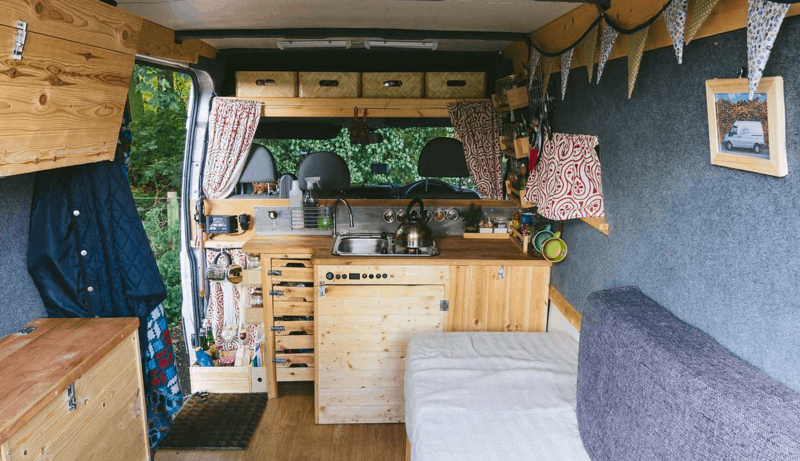 Having something that can serve multiple purposes is very much in the ethos we had when converting and packing the van. We don’t watch many films at all as we simply don’t have the time however when we do we like to do it in style. 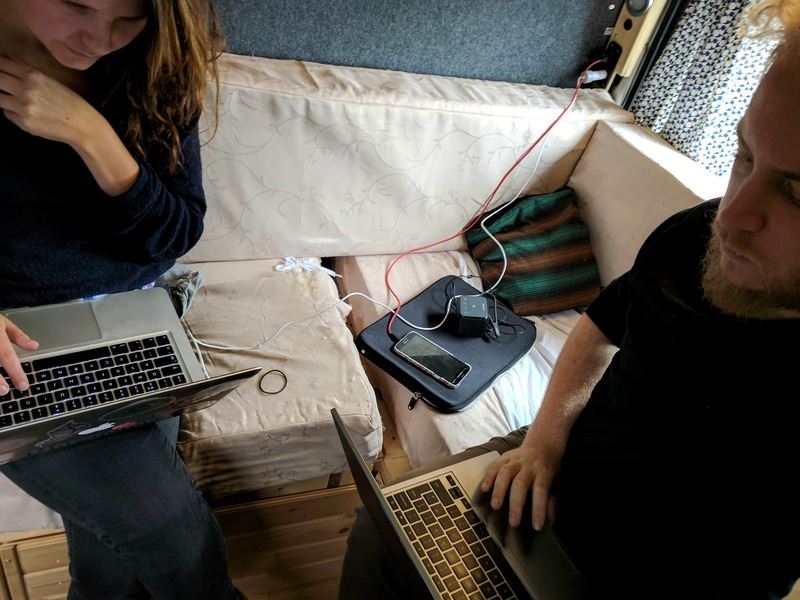 The RIF6 Cube is a tiny projector that has low power consumption and is absolutely tiny and coupled with a fold away screen means we are able to have a cinema inside the van. I’ll do a full post another time on everything we use for our cinema however its great to be able to close the doors and have a large screen for when we actually do watch films and even better when you put the screen outdoors and have your own personal outdoor movie. For some people this would be an essential and for us it soon became one however up until the last week before we set off on the road we weren’t going to have a solar system, we were going to roll with just a split charger only. The solar system simply made our life in the van so much easier. Knowing you don’t have to move the van for a few days and still have power in the van is a relief plus having the panel as a back up when the inevitable breakdown of the split charging set up was a god send. At the time I thought it was a cost we could do without however now I know that this has saved me more time and money that we ever spent on the system. So there’s Matt’s favourite van items, they are by no means essential but they do make our time in the van easier and more fun. What are your favourite van items?